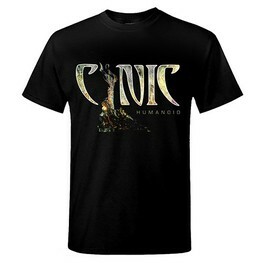 LIMITED 10" VINYL + T-SHIRT BUNDLE OF THE 2019 EP RELEASE "HUMANOID"
Four years after their latest full-length album 'Kindly Bent To Free Us', American progressive metal pioneers CYNIC are releasing the new song "Humanoid" on limited edition 10" vinyl. The record also includes a remix of the cult classic "Veil of Maya", initially released on the 'Focus' milestone album (1993). As frontman Paul Masvidal comments: "'Humanoid' is a portrait of contrasts, like those between struggle and stillness, or the immediate against the limitless." 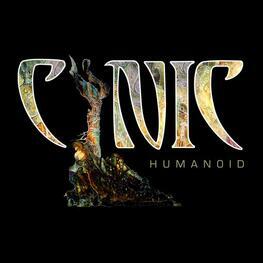 The third EP by the American progressive metal pioneers includes the brand new track 'Humanoid' plus a remastered and remixed version of the track 'Veil of Maya' initially released on the Focus milestone album (1993). 'Humanoid' was mixed by renowned engineer Adam "Nolly" Getgood (PERIPHERY). The EP artwork features a detail from the painting "Ayahuasca Dream" by Robert Venosa, CYNIC's long-time collaborator and celebrated artist who passed away in 2011 & includes a double-sided insert. The vinyl is cut at 45 RPM for optimum fidelity.